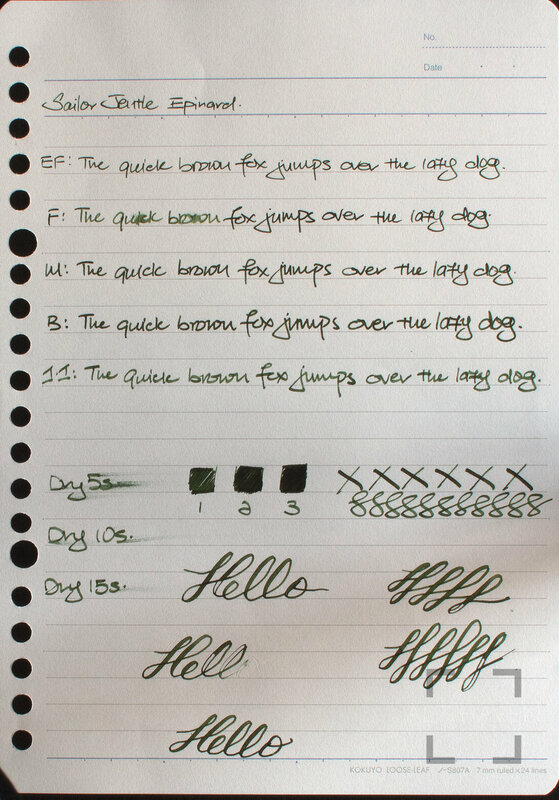 This is part of an ink series that Sailor has discontinued a while back. Never understood why they decided to do so. Epinard is a dark olive green that shades well. It reminds me of Tokiwa Matsu from Sailor’s current series. Epinard is a nice lubricated ink that works well in my Sailor pen. Personally I think Tokiwa Matsu is a close enough with match to Epinard. I’m not that sad that it has been discontinued. Blasphemy, I know.